Dance music rarely looks back, for understandable reasons. A genre whose primary function is to jolt you fully into the present, sometimes with the help of various substances, has little use of nostalgia and backwards glances. 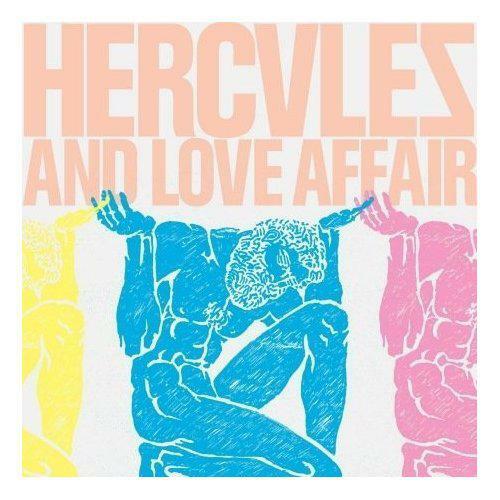 That was the case, at least, until a few years back when Hercules & Love Affair released their first album, a mix of disco, house and electro-pop, most of it expertly realised, all of it acutely aware of its place in the pantheon it celebrated. There had, of course, long been retro sounds in dance, but H&LA's self-titled debut is probably the first album totally committed to what could be called heritage dance music. 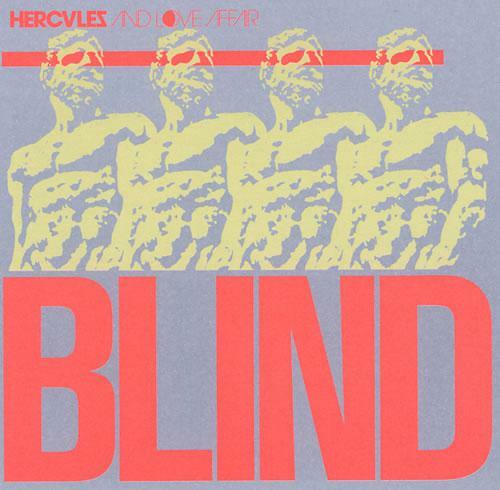 It's lead single and standout track, 'Blind', was almost a meta-dance tune; singer Antony Hegarty's pitch-perfect emulation of disco diva Sylvester's wail was matched by the thrust of H&LA main-man Andrew Butler's driving groove, but the track was no mere act of nostalgia. 'Blind' sought to raise the ghosts of Disco Past - semi-forgotten heroes like Sylvester - and question what happened to their promise of a dance utopia for society's outsiders. It's a theme to which Butler returns on second album Blue Songs, and this time devotes himself fully to it. Butler has spoken in interviews about the friends who shared his love of dance music in his home town of Denver, some of whom are no longer around. Accordingly, and as the title would suggest, Blue Songs finds its creator in reflective mood. However, this wistfulness doesn't kick in until after the fantastic opening shot, named 'Painted Eyes', which begins with a scintillating combination of minimalist rhythm and ethereal flute. New recruit, Venezuelan singer Aerea Negrot handles the twisting vocals with stunning confidence. In an instant, we're back where the group's first album left off; lost in the authentic sound of late-70s disco and caught in the sheer excitement it summoned at street level for disaffected kids, the egalitarian and revolutionary possibilities it shared with punk, the glamour, danger, subversion and humour it promised - all wrapped up in one sleek package. You can almost smell the amyl nitrate. It's a spellbinding opener, and unfortunately Blue Songs has nowhere to go but down. 'My House', bafflingly picked as the album's lead single, returns to the chunky bass, piano stabs and skipping beats of early house. 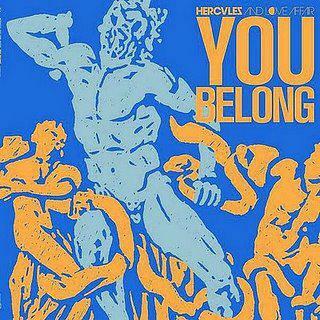 H&LA went here before on 'Belong', one of their debut's best tracks. Judging by 'My House', which limps along for nearly five minutes, they've used up all the inspiration they're going to find here. The song's brief highlight comes with some inventive, cut up scatting towards the end. 'Answers Come in Dreams' and 'Blue Boy' surprise with the introduction of guitars at the forefront of the band's sound. The former is a clunky funk tune with sounds, if I'm being charitable, like a Grace Jones album track. The latter is something more interesting: an inventively arranged ballad which combines synth sounds with organic, heartfelt piano and brass. It's the clearest indication yet that Butler is a songwriter of rare talent. However, his elegant sound-sculpting is rather let down by the lacklustre vocals which sound like they come from Seal with a head cold. From here on, thankfully, things improve. The album track is everything you sense 'Blue Boy' was meant to be; a haze of seductive woodwind and synth bass, insect noises and balmy summer vibes. Then, after this mid-album lull, 'Falling' takes us back to classic disco territory with lyrics which recall the pleasure/pain cognitive dissonance of 'Blind'. The declamatory chorus of "I'm falling/ I am free" could be about self-immolation just as much as self-realisation. Are you losing yourself in ecstasy or are you just lost? Do you even feel you're worth hanging on to? The album's most compelling moment comes with 'Step Up', featuring guest vocals from Kele Okereke. As with Hegarty, Butler seems to be able to make Kele's maudlin vocal work in this glittery context, much better than Kele managed himself on last year's solo record. 'Step Up' is the closest Blue Songs gets to repeating the magic of 'Blind'. As Kele sings, "Baby, you might just be like this/ Baby, this might be who you are... There is pain in being real/ it is not about how great it feels", weeping gently over the taut beats, you realise he and Butler have collaborated to bring us a truly great, grown up gay anthem. Kele sounds like he genuinely cares about the young and innocent, the lost and damaged souls he's singing to, rather than just about himself, which is something of a first for this perennially adolescent artist. It really suits him. All of which begs the question, why isn't this the lead single? Having peaked, the album gives us one last thrill with the minimalist, threatening, squelchy mutant disco of 'Visitor', over which Aerea Negrot deadpans, "We are done with words/ it's time for noise" like a insurrectionist Amanda Lear. The final song, however, is a total misstep. A piano ballad cover of Sterling Void's 'It's Alright', it's probably aiming from the heartaching drama of The Smiths' 'Last Night I Dreamed That Somebody Loved Me', but instead just manages to be dreary and repetitive. Given Butler's devotion to the healing, uplifting power of the music which lit up his youth, it's also something of a cop-out. 'It's Alright' was previously covered by The Pet Shop Boys, who also scored a hit with their cover of The Village People's celebration of San Francisco decadence, 'Go West'. PSB's cover subtly mourned an innocence crushed by AIDS, Reagan and Thatcher. Crucially, however, Tennant and Lowe remembered to make their cover a celebration first and foremost. And that's probably the biggest problem with Blue Songs. It takes itself so seriously, it's so wrapped up in itself, its past and its heritage, that it's forgotten to make sure its audience stays interested. Butler isn't wrong in wanting to make music which looks at the sad side of dance, the dark side of its culture, which counts the cost of ceaseless, aimless hedonism, and the lives lost. But in doing so, he shouldn't lose sight of the music that got him through those hard times, that made him smile and dance again when he thought he never would. Because the chances are that music was fun, silly, camp and irreverent. It looked the hard times square in the face, stuck it's tongue out and then offered the hard times a blowie in the club toilets. In short, there's a reason it's called dance music. For all his good intentions, Butler would do well to remember this when it comes to album number three.